Get a comprehensive overview of the historic city of Lisbon on this full-day private tour. Discover the districts of Alfama, Bairro Alto, Chiado, Baixa, and Belem and all their beautiful landmarks as you traverse the city by car. 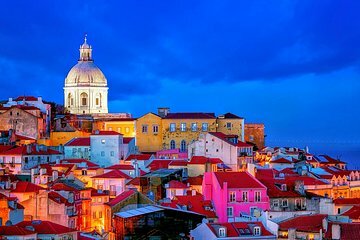 Learn about the history and culture of Lisbon and Portugal from your informative guide and feel free to customize the itinerary to your interests and preferences.